Nicole Gajadhar grew up playing in the kitchen, but being a chef wasn’t always her end goal. The Trinidad-born chef initially attended school to study art, but after a life-changing conversation with her grandmother, Gajadhar decided to switch gears back to her first love — cooking. Now chef de cuisine at Saxon + Parole, Gajadhar is living her childhood dream. We recently spoke with Gajadhar about her blossoming career as a chef, her recent win at a major cooking competition in Brooklyn, and of course, brunch. See what she had to say below, and read our review of brunch at Saxon + Parole here. You recently competed in Cochon555 — tell us more about that experience. I was the only female chef. We killed it. It was so much fun. A week before the competition, we get a pig dropped off. I got a large one from Virginia. It was 211 pounds. You have to produce six dishes, 1,500 portions of the dishes utilizing the entire pig. What’s it like being a female in a male-dominated industry? I feel like things have changed a lot in the past year, but being a woman in the industry is so inspirational. You feel, I wouldn’t say a sense of purpose, but you have people that really look up to you and you need to work 10 times harder. Who are some other local female chefs you look up to? I actually look up to Angie Mar [of The Beatrice Inn]. She won [Cochon555] last year. I think she’s such a badass. But she’s also so feminine. I love it. She’s really amazing, and her food is amazing. I finished college with a degree in arts. I used to live with my grandma, and she was like ‘Do you remember when you were a kid and you used to want to be a chef and you’d always play around in the kitchen?’ So then I started looking into [culinary schools]. She reminded me what I wanted to do when I was a kid and what I was good at. You just need that one person to remind you sometimes when you’re a little bit lost trying to figure out your life. 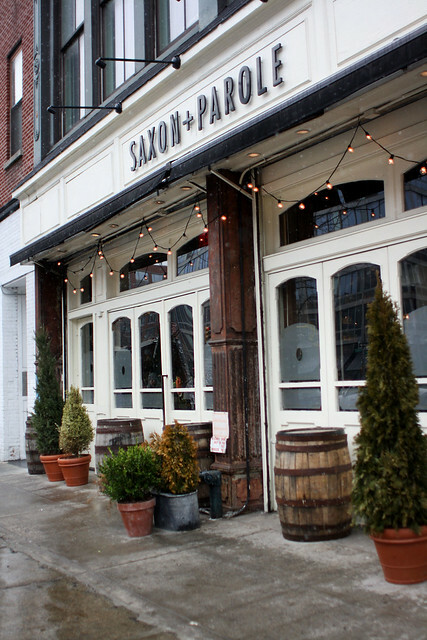 How did you end up at Saxon + Parole? What attracted you to the job? One of the chefs I worked with previously, he had an opportunity for me here, and I started out as a sous chef. I really love the vibe that they have here. The food offering matches everything that I love to do. I love cooking with Brad [Farmerie, executive chef] and making food with him. Do you Trinidadian roots influence your cooking at all? It does tremendously. With chef Brad and his flavors, he has a lot of Asian flavors in his food. I’m from Trinidad and my grandparents are from India, so obviously we have all those flavors in our food. It’s kind of hard to find a place where you can share flavors like that and have them appreciated so much. Going back to Cochon555, it was really representative of me and things that I grew up with and flavors that I love. 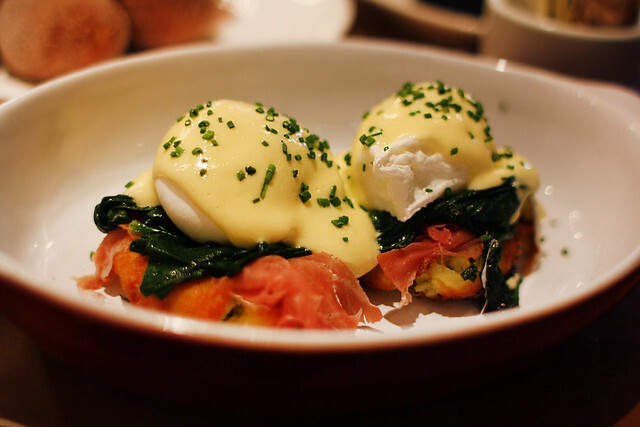 What is your favorite item from Saxon + Parole’s brunch menu? I love our eggs Benedict. It has these parmesan potato cakes with spinach and poached eggs and some truffle hollandaise sauce. What is the restaurant’s most popular brunch item? That is one of them. 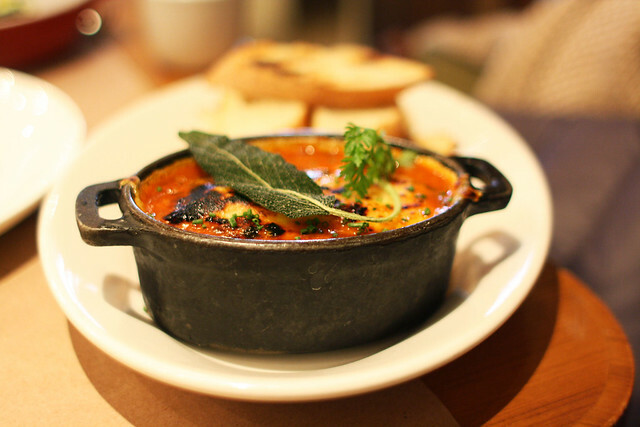 We also have our baked eggs. And our bacon, lettuce, avocado, and tomato sandwich. What do you cook for brunch when you’re at home? My partner is Irish, so if I make breakfast or brunch at home, it has to be black pudding, bacon, sausages. It has to be the whole enchilada. 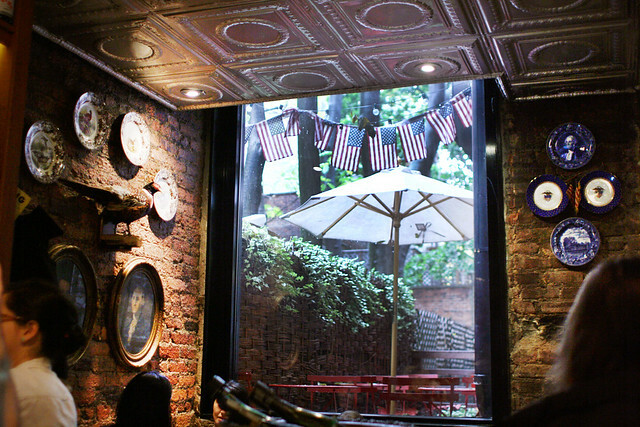 Where is your favorite spot for brunch in NYC? I rarely go out to brunch because I usually work it, but if I do go out, I like to go to Buvette on Grove Street. I like to go out for brunch. What’s one item you always order if you see it on a menu? I definitely have to have either bacon or sausages. Do you prefer mimosas or Bloody Marys? I love Bloody Marys, especially the one we have at Saxon. 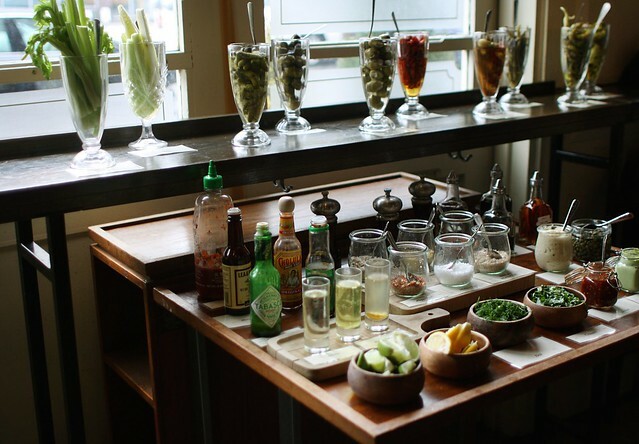 We have a DIY bar at every brunch where you get your Bloody Mary and fix it up how you want to. If you could brunch with anyone — dead or alive — who would it be and why? I’d have to pick my grandma. She died when I started my first restaurant job. After winning Cochon555 and being a woman and knowing how strong she was and how hard she worked, I would love to sit down and have brunch with her and show her how far I’ve come.